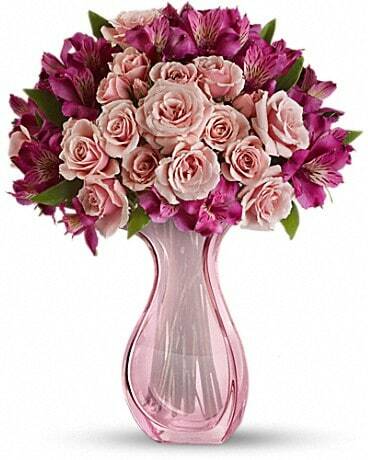 Make Mom's special day the best ever with delicate pink spray roses and purple alstroemeria in an elegant hand-blown pink glass vase. 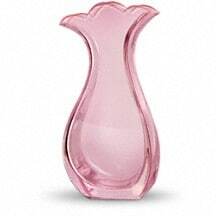 With and without flowers, this graceful keepsake vase will always be on her table. 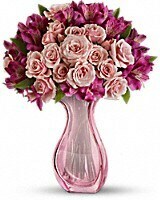 Imagine Mom's joy when this lovely bouquet arrives - pink roses topped with an exotic pink orchid, all artistically arranged in an elegant pink glass vase. Her friends will be so envious. 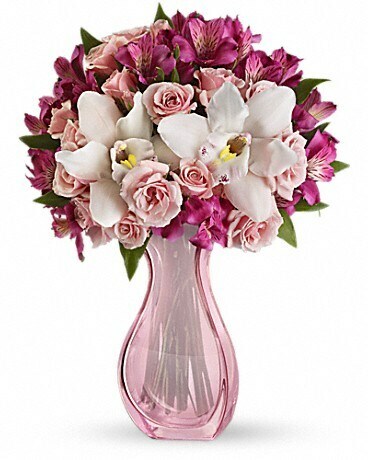 Make it Mom's best Mother's Day ever with gorgeous pink roses and exotic pink orchids in a stunning pink glass vase she'll treasure. She'll think you're the best kid ever. 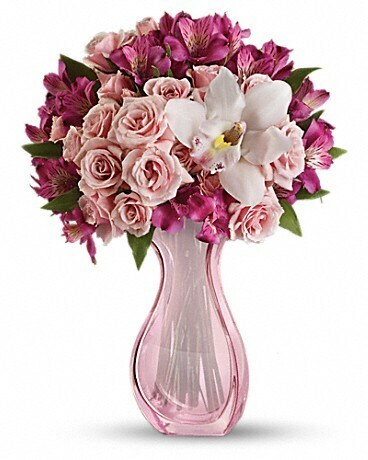 The exquisite hand-blown pink glass vase is another exclusive creation from Teleflora's renowned Flowers-in-a-Gift collection. Gorgeous with and without flowers, it will be an instant favorite.